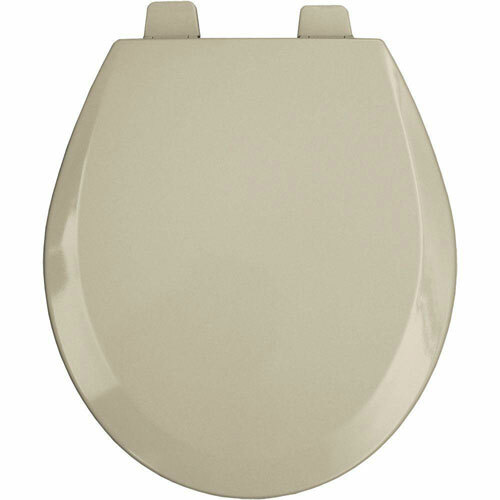 This Bemis Round Open Front Toilet seat features a stylish molded wood design for an attractive look in your bathroom. The Top-Tite hinges are easy to install. Bemis Manufacturing Company prides itself on continuing to bring innovation, value and environmentally friendly products to you. Item Boxed Weight: 6.17 lbs.